The staggering cost of civil litigation in Louisiana is one of the leading causes of employment and state and local revenue losses, an analysis produced by the economic and financial analysis firm The Perryman Group states. The group has conducted similar reports for several states, arguing that tort reform enhances innovation and increases productivity and employment. 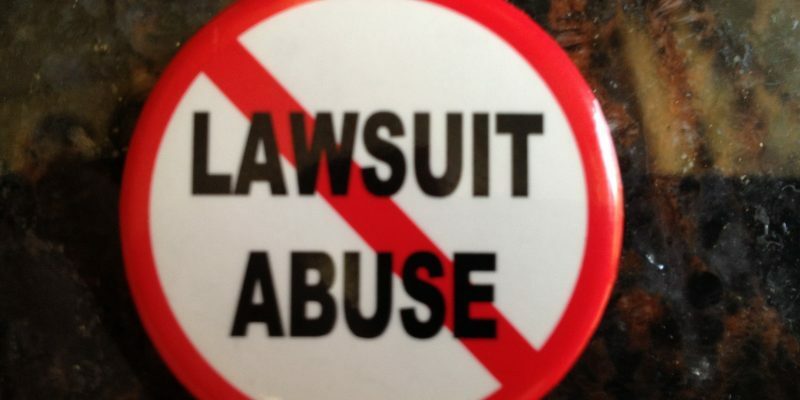 It was produced for Citizens Against Lawsuit Abuse, a nonpartisan grassroots movement committed to exposing lawsuit abuse. Its local affiliate, Louisiana Lawsuit Abuse Watch (LLAW), is a statewide watchdog group. Tort lawsuits, those filed by an individual seeking monetary restitution for an alleged intentional or negligent harm suffered, comprise the majority of civil litigation. Tort reform refers to making changes in the civil justice system to limit the ability to file a lawsuit or to cap the amount of damages a plaintiff can receive. The report states that Louisiana’s lawsuit culture is “imbalanced and unpredictable” and represents a misallocation of resources that “unreasonably constrains economic growth.” It suggests that tort reform can significantly reduce or eliminate these costs, and enable substantial economic benefits to Louisiana residents and businesses. Daniel Erspamer, CEO of the free market Pelican Institute, agrees. He points to the “legacy” or “coastal” lawsuits filed against oil and gas companies for alleged erosion as the most egregious. He told Watchdog.orgthat lawsuit abuse is just another reason why “jobs and opportunity are fleeing Louisiana for friendlier states like Texas and Tennessee. According to the Perryman Group, excessive tort lawsuits have negatively affected the manufacturing industry the most, costing it more than $669 million and 1,335 lost jobs. “Junk lawsuits,” Louisiana Attorney General Jeff Landry argues, negatively impact the economy. The Attorney General filed an amicus brief in September with 14 other states requesting that public nuisance climate lawsuits filed in California and New York be dismissed. “Louisiana counts on manufacturing for more than one-fifth of our economic output, employing 136,600 workers,” Landry said. “A significant portion of this manufacturing comes from the energy industry, which remains one of Louisiana’s leaders in economic impact, taxes paid, and people employed. The national trend of local governments partnering with for-profit attorneys to file public nuisance lawsuits is troubling, Landry said. Their intent “to score massive paydays from energy manufacturers” would only negatively impact Louisianans, he added. According to the report, the most job losses (4,865) occurred in the retail trade industry, which experienced more than $163 million in personal income losses. The health services industry experienced the second highest number of job losses of 2,252. In August, state legislators met with state Department of Justice officials to discuss multiple opioid lawsuits. LLAW argues that frivolous lawsuits also cause higher insurance premiums, increase health care costs and result in less available medical services. Tort reform would still enable fair compensation to plaintiffs who have been legitimately harmed by setting negligence standards and limiting non-economic damages, it adds. Louisiana was ranked last (50th) by the U.S. Chamber Institute for Legal Reform in its 2017 Lawsuit Abuse Climate Survey. The survey measured the reasonability and balance of each states’ tort liability systems. Louisiana ranked 8th by the American Tort Reform Foundation’s 2017-18 Judicial Hellholes Report, which analyzed states’ systematic application of civil laws and court procedures, identifying Louisiana’s as eighth-worst.